Ski boots just keep getting better. 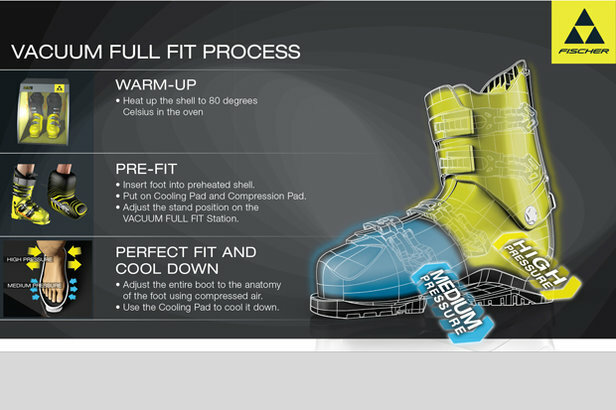 As one of the pioneers of the adaptable shell, Fischer's Vacuum Fit helps provide a precise fit with proprietary plastics that mold to the foot at low temperatures. Other companies use traditional PU (polyurethane) shells, but with technology that allows bootfitters to make more effective customizations. Tecnica’s C.A.S. (Custom Adaptive Shape, found in Cochise and Mach1 models) includes an anatomically-shaped liner that’s preshaped to fit important areas of the foot, such as the anklebone. It can also be heated, easily punched or grinded. 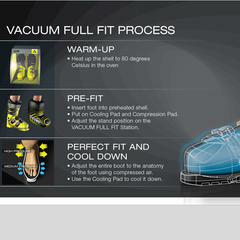 The shell also has areas boot fitters can heat or grind to customize the fit. Left: The C.A.S. 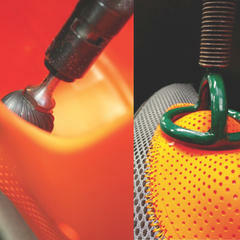 shell allows boot fitters to grind problem areas or easily punch and heat the shell to increase volume. Right: Tecnica's C.A.S. 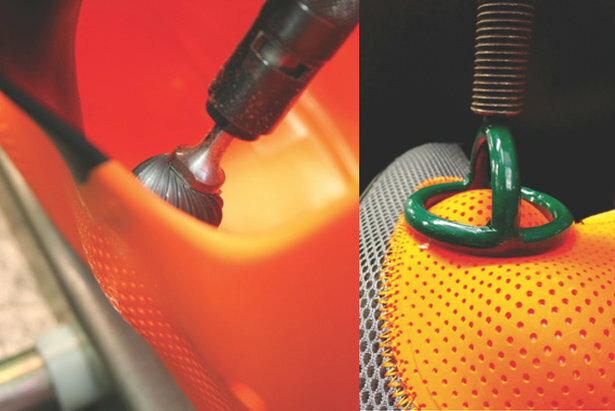 liner, or Custom Adaptive Shape, can be heated and punched by a boot fitter to address hot spots. Nordica’s Custom Cork technology uses the properties of cork to “mold” around the foot while Head’s new Vector EVO models have heat-moldable shells and liners, no oven needed. Salomon’s 360 Degree Custom Shell and 3D liner offer foot “wrapping” with heat-moldable shell and pre-shaped liner around the ankle and heel. 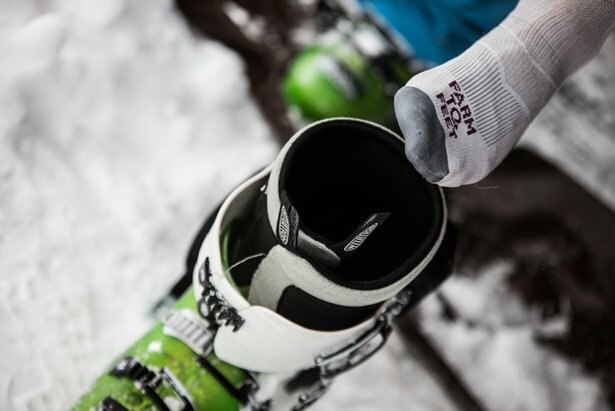 Rossignol’s Sensor Grid makes a gridded pattern in the shell that provides wrapping of the foot and ankle. Since no two feet are alike, many manufacturers have increased their last (the inner shape) size offerings this season. Boots with 100-mm lasts in the all-mountain category are the meat of the market, but companies are branching out: Rossignol adds three new last sizes (98, 100, 102) in the Allspeed series, Tecnica now offers a lower volume Mach1 (98), Atomic’s Hawx Magna expands to a 102-mm last, Full Tilt adds a 102-mm last to the Descendant series, and Alpina presents a 102-mm last to its Elite series. *Memory effect has to do with how the plastics change in ski boots according to temperature changes (like getting super stiff in cold weather and very soft in the spring). Verdonk came from the race department, where he worked on the boots of 13-year-old Lindsey Kildow (a.k.a. Vonn) as well as others. “I learned a lot about boots from the greatest athletes around, including Lindsey, Julia, Ted and Daron Rahlves.” In fact, Lange’s V-lock system (found in Lange’s XT series) is an example of reverse engineering from the race world. “The power of a ski boot comes from the upper cuff driving into the lower cuff. We realized that we could put a V in there for more range of motion for hiking or walking, while the Power V-lock secures it down like a traditional boot,” says Verdonk. 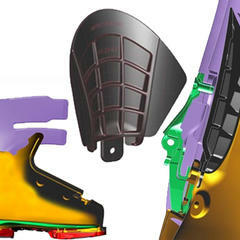 When working with race models, boot techs realized that a V shape in the cuff increases range of motion. Walk mode technology varies from company to company. K2’s Synchro Interlock, for example, has a rivet-free design that cuts down on friction for walk mode. The freeride Pinnacle series adds lightweight, rockered Vibram soles this season. The AT (alpine touring) Hybrid category is loosely defined as boots with a swappable DIN and Vibram soles and has shown tremendous growth in the past few seasons. 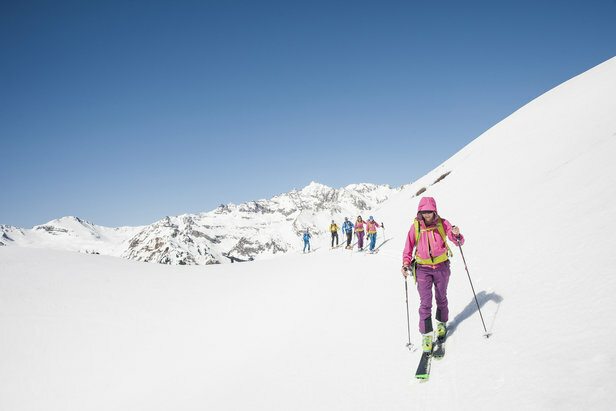 In fact, according to SIA (Snowsports Industries America) market research, alpine touring gear sales increased 18 percent this past year, seeing a 34 percent boot sale increase in women’s AT boots alone. This group doesn’t just visit the backcountry; they are also resort uphill/downhill skiers in it for the workout or first tracks. Scarpa, the Italian company known for mountaineering gear, successfully crossed over to alpine with the Freedom line. The Freedom RS has 130 flex (notably because touring boots had the reputation of being too soft for aggressive downhill turns), lightweight plastic (made out of castor plant oil instead of petroleum) and Vibram Mountain Plus soles that can be swapped out for Vibram Mountain Piste soles for alpine compatibility. Other backcountry brands have introduced new hybrid models as well. Dynanfit Radical CR and Black Diamond women’s Siva have hike modes and 100 plus flex indexes. Salomon and Scott are also introducing new super lightweight models with the Quest TR 110 and Cosmos II, respectively. The Dalbello Krypton Lupo TI has tech inserts; replaceable rubber heels and toes provide extra grip. The acronym WTR is new to the ski boot lexicon. It means “walk-to-ride,” and essentially includes a relatively soft alpine sole with rocker at the toe piece (think back to where flat, hard boot sole meets icy parking lot). Rossignol leads the pack with the Alltrack W, which has walk-to-ride rockered soles to make walking easier. 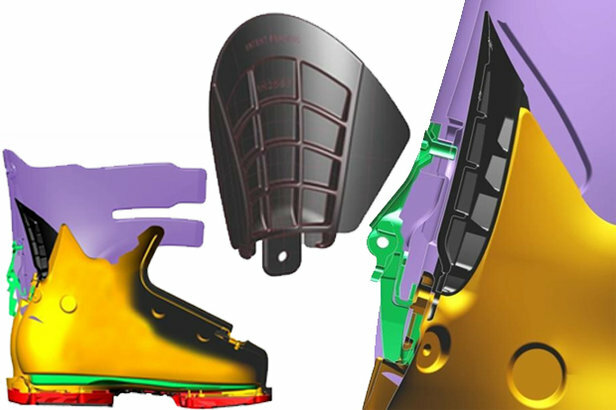 The challenge with rockered soles is that the binding toe height needs to be adjusted to accommodate the rocker (if the toe plate of the boot doesn’t work properly with the AFD (anti-friction device) piece, you could pre-release). New bindings to the rescue with raised AFD devices—and along those lines, bindings and boots are starting to offer à la carte options of swappable soles to serve a variety of mountain adventures. Five essential gear items and what you need to know before moving forward into the backcountry.